Nepal is a beautiful country that attracts a large number of tourists from all over the world. There are a number of hotels present in Nepal. Some of them are budget-friendly whereas there are a number of hotels that are luxurious and provide generous assistance to the customers. These luxurious hotels provide beautiful service to the customers and aim at their 100% satisfaction. In a country full of antiques, national parks, monasteries, and safari lodges these splendid and magnificent hotels provide the perfect blending with the atmosphere. The interior of the hotel rooms is magnificent. Dwarika's Hotel is situated in Kathmandu, the heart of Nepal. It is one of the most beautiful hotels in Nepal. This particular hotel is not situated in an excellent location but besides a busy main road. The hotel can be reached by taking a small walk from the Pashupatinath temple. The grandeur of the ambiance is beyond explanation. Bahari Jungle Lodge is situated in Meghauli. The exact location would be in the western region of Chitwan and on the river banks of Rapti. If a person desires to go for a safari ride in the Chitwan National park but on the other hand doesn't want to give away the luxury and comfort, then this lodge would be the best choice. Meghauli Serai is a resort hotel situated in Meghauli. This particular hotel belongs to the Taj group of hotels. The Taj being an Indian luxury hotel is one of the best of its kind. This hotel is located in the River Rapti, and the architecture is designed in such a way that it provides a feeling of a jungle at home, i.e., a perfect blend with the ambiance. Belonging to the chain of Hyatt Regency, this hotel situated in Kathmandu is known for the best swimming pools and amazing breakfast buffet. This hotel is located in Boudhanath, and it just takes about a 10-minute walk to the Boudhanath Stupa which is known to be the holiest place for the Buddhists residing outside of Tibet. Tharu Lodge is located just adjacent to the Chitwan National Park which is just beside the Narayani River. The lodge is located in a calm place away from the hubbubs of the city. To provide the lively ambiance the guests can choose between the two which is either mud-walled rooms or luxurious tents. 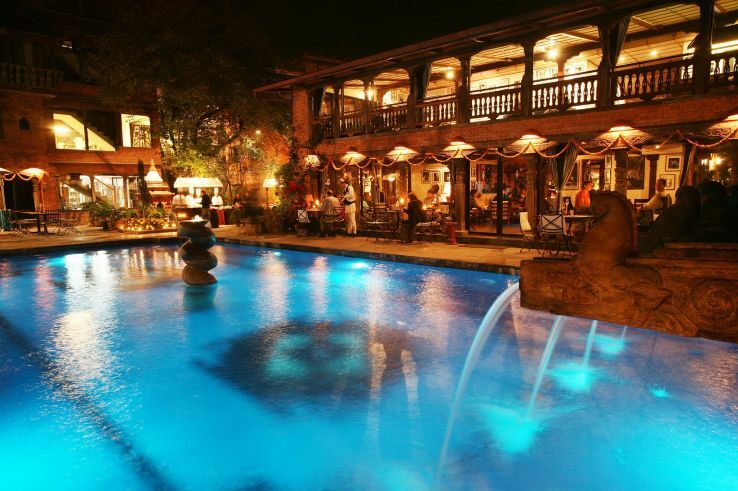 The colorful garden, the swimming pool, and the beautiful views provide a complete package to the customers. In Nepal there is a national park named Bardia which is less visited as compared to the Chitwan National park, but if one wants to experience a wilder experience then the Bardia is a must. 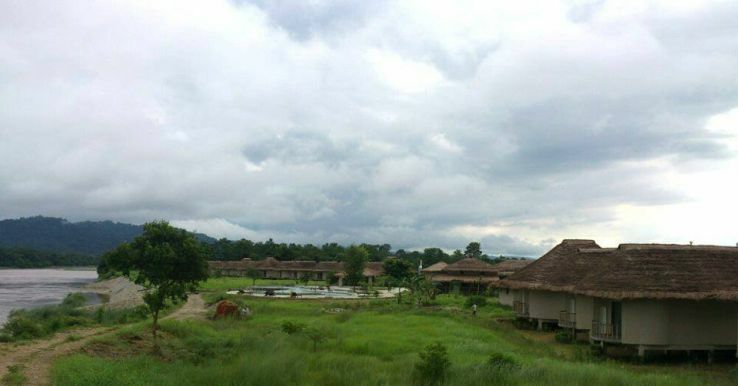 This lodge has shifted from the Chitwan to the Bardia National Park. It provides the customers with 9 boutique rooms to choose from and a delicious food catering service. If one is fond of trekking but is not that much into the rugged surrounding then the best option would be that of the Yeti Mountain Home. These luxurious hotels are situated at Khumbu which is considered to be the base camp of the Everest region. The comfortable and warm ambiance of the rooms, the 24 hours assistance provided by the quality staff members and other delicacies provide 100% satisfaction to the customers. This first resort is situated at Kathmandu. 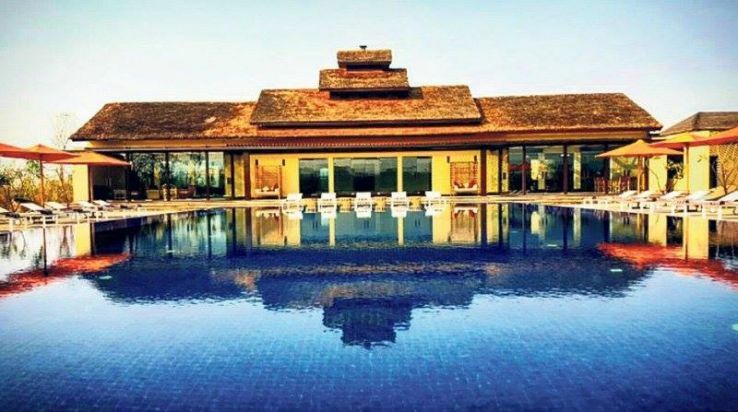 The most eye-catching thing about this resort is it is the home of the only four golf courses in the country of Nepal. It is the perfect place for golf enthusiasts. The gym, bar, full floor to ceiling windows provide a beautiful ambiance and a feeling of adventure. This resort is considered to be one of the best of its kind in the region of Pokhara. The rooms are extremely comfortable with king size beds and the service provided by the staff members is professional and elegant. The interiors are made with hand cut stones. This resort is named after the famous temple trees. Dwarika's resort is situated in Dhulikhel which is about 30 km far from the city of Kathmandu. The design of the rooms is splendid, and every inch of this resort is made to provide the customers with a luxurious and lavish experience. The view of the snow-covered Himalayas, the excellent quality of the food and the comfortable and well-furnished rooms provide utmost relish to the customers. The above mentioned luxurious hotel that is spread all throughout Nepal are the best ones around Nepal that provide the customers with a home like an experience and a perfect blend with the surrounding that suits them perfectly. Latest trip ideas: » Things to do in Ireland » Best Restaurants in Nepal » Weekend Getaways From Surat » Amazing experiences to have in Scotland » Indian Restaurants in Scotland » Push yourself to finish these 10 treks before you hit 35 » Best places to have breakfast in Russia » Italy’s first coral reef has been discovered » Best Restaurants in Ireland » Why do you need to visit Italy’s Coral Reef? » 8 things you should know before you leave for Japan » Best Restaurants To Dine In Pattaya » HBO has hidden six thrones of GOT across the world for you to hunt down » Enjoy This Summer With The Canadian Festivals » Unusual things you can only do in Bali » Where to shop in Ireland » Weekend Getaways from Indore » Best luxury hotels in Istanbul » Some of the Unique and Bizarre Things You Can Do In Bangkok » Best cafes in Myanmar » Places to see in Northern Ireland » Five tedious Himalayan Trek » Budget hotels in Myanmar » Best places to explore in Bali » Why you should travel solo in your 20s » Weekend Getaways from Ireland » IRCTC tourism offering six days Tour to Gangtok, definitely not worth missing » Switzerland's Glacier Express train just got even more spectacular » Weekend Getaways from Kanpur » What you should eat in Rishikesh to enjoy the local flavour?